Who knew that the food ingredient business ran on bribes? The New York Times (print edition) calls its report of the latest scandal, “Hidden Ingredient: The Sweetener.” By “sweetener,” the Times is not refering to aspartame or even Splenda: it means bribes. You are an ingredient supplier and want a big food company like Kraft, Frito-Lay, or Safeway to buy your products? Easy. Bribe their purchasing managers. 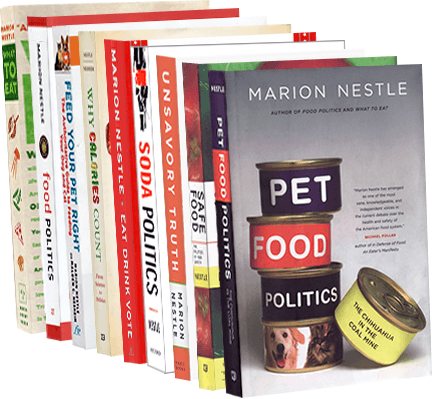 In my book, Food Politics, I discuss food industry sales tactics ranging from soft (advertising, lobbying) to hard (manipulating media, cozying up to federal officials, and suing critics). These, as I point out, are legal. Fixing prices, is not. Neither is bribery. This is not a pretty story. Managers were bribed to purchase inferior ingredients such as moldy tomato sauce. Companies relied on the suppliers for quality assurance. The moral: companies need to do their own product testing and consumers need to demand that they do. Thanks to William Neuman of the Times for his excellent investigative report, handicapped as it was by not being able to interview the jailed perpetrators.